The Natural History Museum hosts 4 special events each year. Below is a list of upcoming events and previous fundraising events. If you have any questions about becoming a vendor, sponsorship information for any of our upcoming events please do not hesitate to contact us! Contact us here. It’s our 18th Annual Earth Day Celebration! 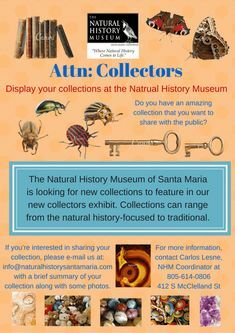 Please join us for the Grand Re-Opening of The Natural History Museum of Santa Maria on Saturday, April 21st from 11am to 3pm. We’re doing some much needed repairs and renovations to this historical landmark in Santa Maria and we’re excited to begin the year with a fresh look. This year’s Earth Day Celebration will be extra special as we will have some new things to share with a fun filled day of programs, performances and education of the Natural World. 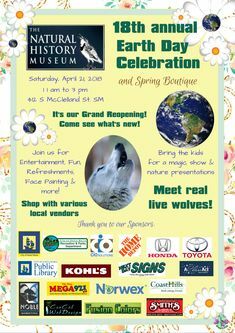 Come and help us Celebrate Mother Earth! 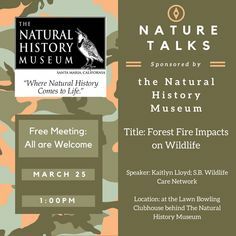 The Celebration will feature Conservation and Natural World education, music and arts entertainment including Magic show, Righetti High School Choir and more plus refreshments. 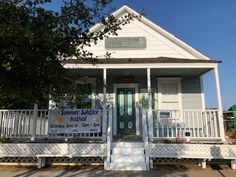 We also invite you to shop with a variety of local vendors and businesses who are also donating a portion of their proceeds and/or donation items as raffle prizes to the museum. This annual event proceeds helps benefit the Natural History Museum. 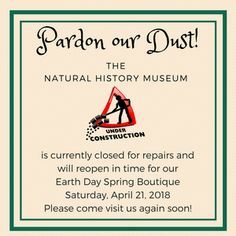 Your generosity and support allows us to make much needed repairs, maintain our exhibits and Native Garden, “keeps the lights on” and allows us to continue to provide our various outreach programs to our local schools. The Natural History Museum is a 501 (C) (3) non-profit organization. We are 100% volunteer staffed due to the commitment of our volunteers and we’re able to do this through donations, fundraising events like this, grants and sponsorships. We are always in need of volunteers! If you are a student, retired professional or someone who just loves the Natural World and interested in volunteering as a docent or for special events please leave us a PM here on Facebook and one of our board members will get back to you ASAP. Come caroling with us and visit with Santa at the Natural History Museum as we celebrate the Winter Solstice! We’ll have a wide variety of vendors for your holiday shopping, entertainment, fun family activites, raffle prizes and refreshments. Join us at the Natural History Museum for a fun FREE family friendly Monster Mash. Visit with our vendors for a safe trunk or treat. There will be entertainment and refreshments. Enter our pie eating contest, costume contest and submit your pre carved pumpkins for our carved pumpkin contest. Children ages 5 and under, 6 to 9 and 10 to 12. Prizes will be awarded for each costume category in boy and girl costumes: spookiest, funniest and most creative. Carved Pumpkin categories are: most adorable, most creative, scariest, silliest, and most unique. 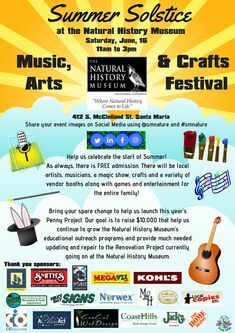 Please join us for the 3rd annual Summer Solstice Festival at the Natural History Museum of Santa Maria on Saturday, June 17th from 11am to 4pm. We’re located at 412 S McClelland St. near the Town Center Mall. 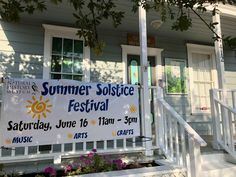 Come help us kick off the start of Summer at this fun family friendly community event. There will be vendor booths along with games, raffle prizes and entertainment. Take a tour around our Native Garden and listen to our guest speaker presentations. Experience the thrill of the 4D Seat Shaking Home Theater Entertainment System Trailer from Smith’s Alarms. Join the Hula Hooping Contest with HoopWorks. Please bring your spare change to help us launch the 2017/2018 Penny Project. Our goal is to raise $10,000. with your support, we can continue to grow the Natural History Museum’s educational outreach programs and provide much needed signage for our beautiful Native Garden. Refreshments will also be available for those who attend. As always, there is FREE admission. Come enjoy the fun at the 17th annual Earth Day Celebration at the Natural History Museum of Santa Maria on Saturday, April 22nd from 11am to 4pm. We’re located at 412 S McClelland St. near the Town Center Mall. Help us honor Mother Earth and raise awareness for our community and the planet. As always, there is FREE admission. There will be vendor booths along with games and entertainment for the entire family. 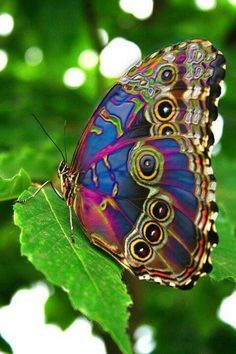 Be sure to visit the animal exhibits from Zoo to You. For your entertainment pleasure come enjoy Mr. Bigger’s Ukulele Band, Theater Arts from Pyjama Drama, Exercise fun with HoopWorks, get your pictures taken in QRC Sprint Carts from Smith’s Alarms, and be entertained by DJ from A Class Act. Food and refreshments will also be available for those who attend. Bring your spare change to help us launch the 2017/2018 Penny Project. Our goal is to raise $10,000. with your support, we can continue to grow the Natural History Museum’s educational outreach programs and provide much needed signage for our beautiful Native Garden. Community Bank of Santa Maria, CIO Solutions, Utility Telecom, Smith’s Alarms & Electronics, O’Connor Pest Control, Leadership Fumigation, Kiwanis (night time club) of Santa Maria, Norwex, All Things Green Living, Kohl’s, Rabobank, CenCal Web Design, the City of Santa Maria Recreation and Parks Dept. and Utilities Dept., Starbucks, Local Copies, etc., Mega 97.1, Noble Productions, and a Class Act Entertainment. 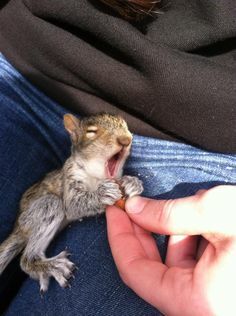 Please come follow us on Facebook!